Chocolate coating machine for coated cone by manual, industrial ice cream machine. There are different types of chocolate. 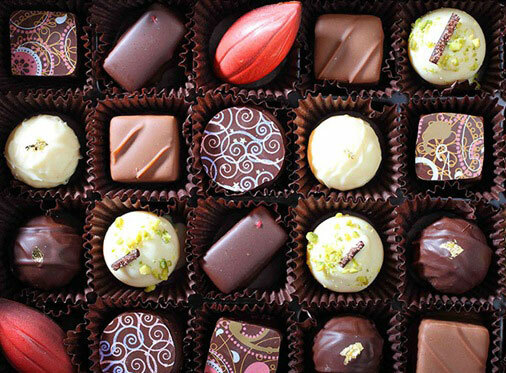 Different forms and flavors of chocolate are produced by varying the quantities of the different ingredients. Unsweetened chocolate, also known as aka Chocolate, Baking Chocolate, Pure Chocolate, Bitter Chocolate, etc. Chocolate liquor that has been allowed to cool and harden. It is used for baking and to make other types of chocolate. Many bakers prefer this type of chocolate for baking because they have more control over the flavor and sweetness. Dark chocolate, is produced by adding fat and sugar to cocoa. It is chocolate with no milk or much less than milk chocolate. Dark chocolate can be eaten as is, or used in cooking, for which thicker, baking bars, usually with high cocoa percentages ranging from seventy percent to ninety-nine percent are sold. Dark is synonymous with semisweet, and extra dark with bittersweet, although the ratio of cocoa butter to solids may vary. We also called it “black chocolate”. Semisweet chocolate, it contains at least fifteen percent chocolate liquor, plus cocoa butter and sugar in varying amounts. Some people mistakenly refer to this as “bittersweet”. Bittersweet chocolate, it also known as aka Semisweet Chocolate, Dark Chocolate. Bittersweet chocolate is chocolate liquor (or unsweetened chocolate) to which some sugar (less than a third), more cocoa butter, vanilla, and sometimes lecithin has been added. It has less sugar and more liquor than semisweet chocolate, but the two are interchangeable when baking. Bittersweet and semisweet chocolates are sometimes referred to as ‘couverture’. Many brands now print on the package the percentage of cocoa in the chocolate (as chocolate liquor and added cocoa butter). The higher the percentage of cocoa, the less sweet the chocolate is. Milk chocolate, is solid chocolate made with milk in the form of milk powder, liquid milk, or condensed milk added. It contains at least ten percent chocolate liquor, plus cocoa butter and sugar in varying amounts, and at least twelve percent milk (milk, cream, milk powder, etc). White chocolate, is a confection based on sugar, milk, and cocoa butter without the cocoa solids. In some countries white chocolate cannot be called “chocolate” because of the low content of cocoa solids. 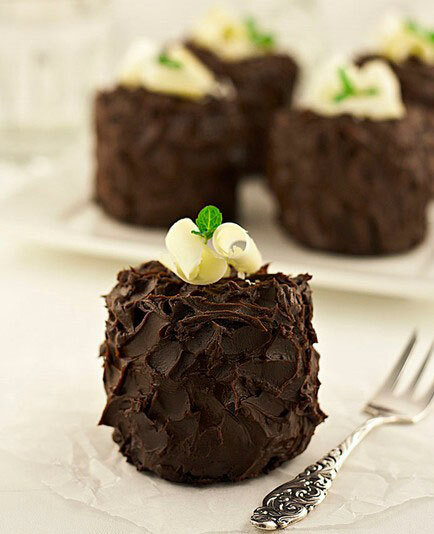 It has a mild and pleasant flavor and can be used to make Chocolate Mousse, Panna Cotta and other desserts. Compound chocolate, is the technical term for a confection combining cocoa with vegetable fat, usually tropical fats and/or hydrogenated fats, as a replacement for cocoa butter. It is often used for candy bar coatings. In many countries it may not legally be called “chocolate”. Raw chocolate, is chocolate that has not been processed, heated, or mixed with other ingredients. It is sold in chocolate-growing countries, and to a much lesser extent in other countries, often promoted as healthy. Chocolate is a kind of popular food, it is sweet, and usually brown. Chocolate is made in the form of a liquid, paste or in a block or used as a flavoring ingredient in other sweet foods. Sometimes we use it to make ice cream with an ice cream machine.